We are welcoming 2018 with our doors wide open here at Sugar Fix! 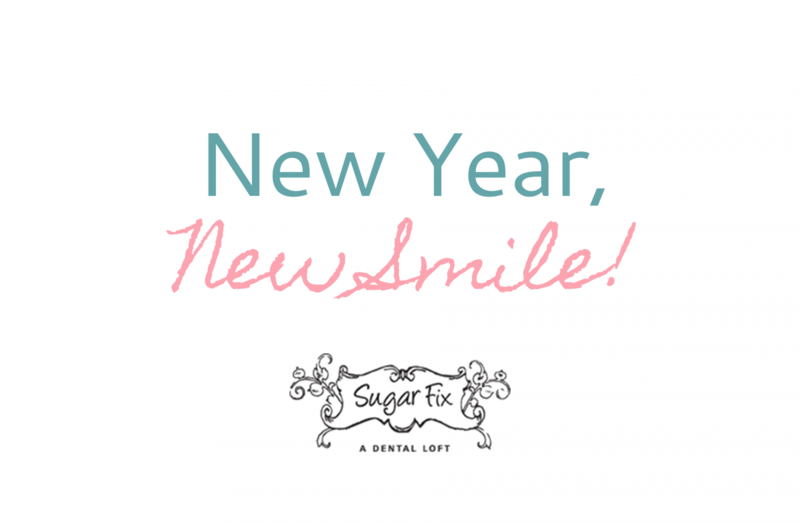 When making new years resolutions, one of them may be to improve your smile. When looking at your smile in the mirror or in photographs, you may see that you don’t fully love your smile. Damage to your teeth can cause stress and you might find yourself being embarrassed to smile. Fortunately, when it comes to reshaping and transforming your smile, you have a lot of options! Dr. Jessica Emery is very skilled in the art and science of using advanced dental technology to give you a complete smile makeover. Two of Sugar Fix’s most popular cosmetic procedures are porcelain veneers and dental bonding using composite resin – the same tooth-colored material used in aesthetic fillings! These two treatments address several of the same concerns in different ways. The best way to determine which treatment is right for you is by calling our Chicago dental office and scheduling a consultation with Dr. Emery. Or schedule below! Having a better understanding of your options before you go in for your appointment will make the decision-making process easier. We are always here to answer any questions you may have! Porcelain veneers are thin pieces of dental porcelain that fit over the front of your teeth. They can conceal a range of cosmetic issues and last for several years. Some types of veneers require the removal of a small amount of your enamel while others fit right over the top of your teeth. Dr. Emery will discuss these options with you and provide a recommendation of which one will give you the best results. Dental bonding uses cosmetic resin to cover or repair flaws. The resin, which is similar in form to putty, is applied by Dr. Emery and then shaped and molded before it is cured. Once cured, the resin is difficult to distinguish from your own enamel and will last a long time. One of the benefits of dental bonding is that the process is relatively inexpensive and can be completed in a single day. Which treatment is right mostly depends on the extent of the damage. For smaller repairs, dental bonding is usually a better option because it requires less alteration of your tooth and can be completed on the same day. If you have more extensive damage that needs to be fixed, veneers may be the right choice. Overall, veneers have a more natural look than dental bonding, especially when bonding is applied over a large area. With your temporaries that are placed, we call that your trial smile. You get to take your smile for a test drive! 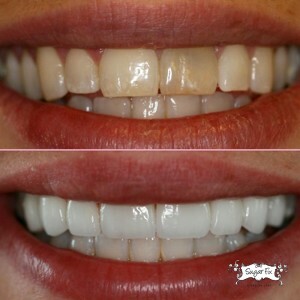 When your veneers come back from our amazing lab, we’ll have you check the appearance before bonding them to your teeth.